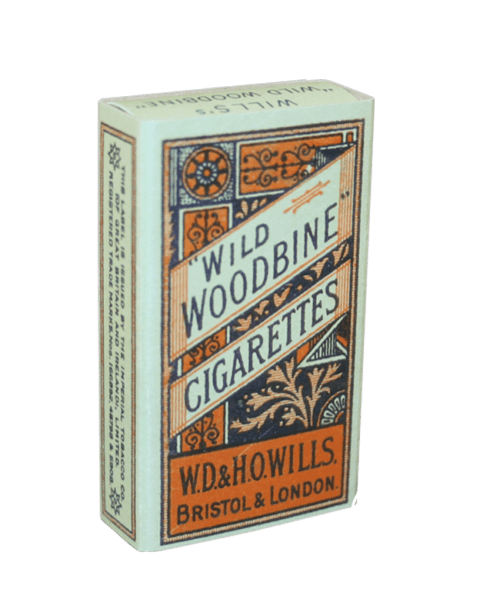 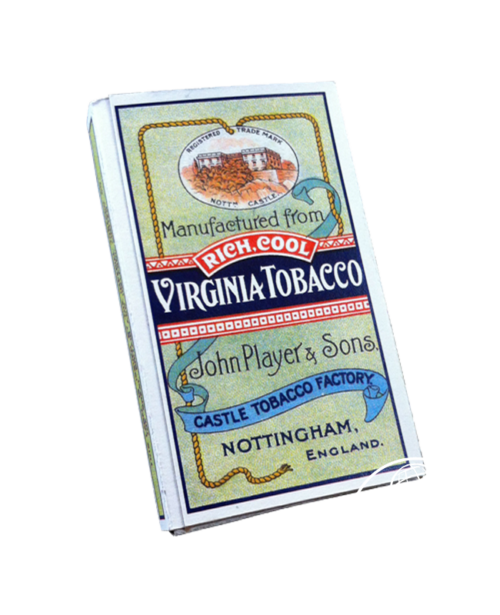 Reproduction of a WW2 Wild Woodbine Cigarettes box. 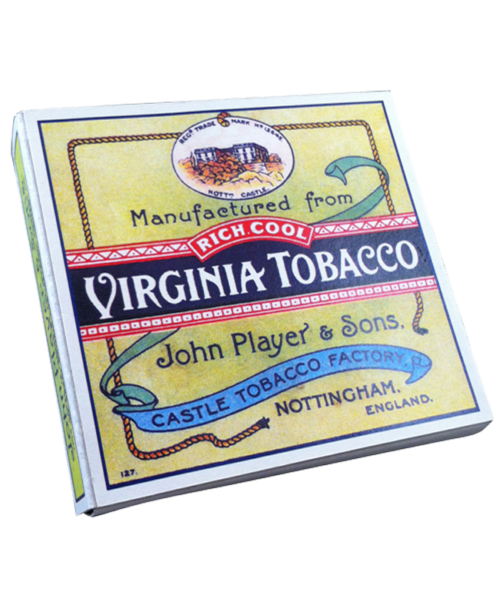 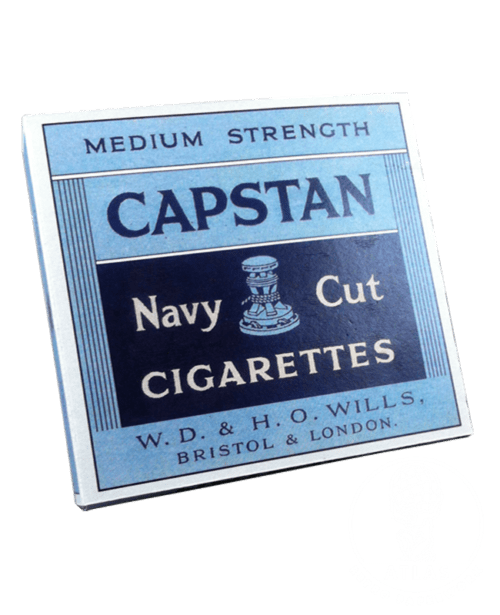 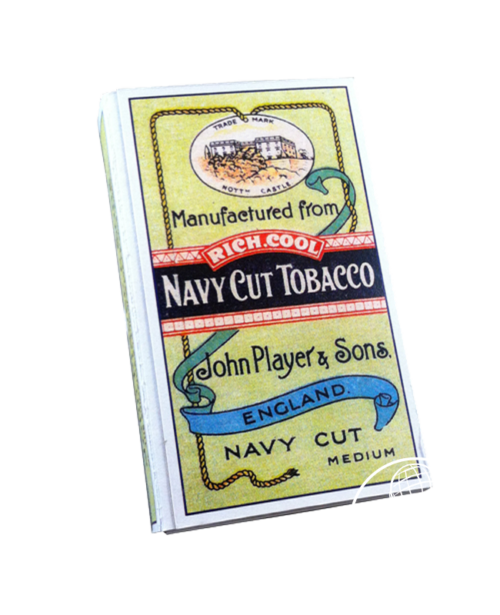 Reproduction of a WW2 Capstan cigarettes box. 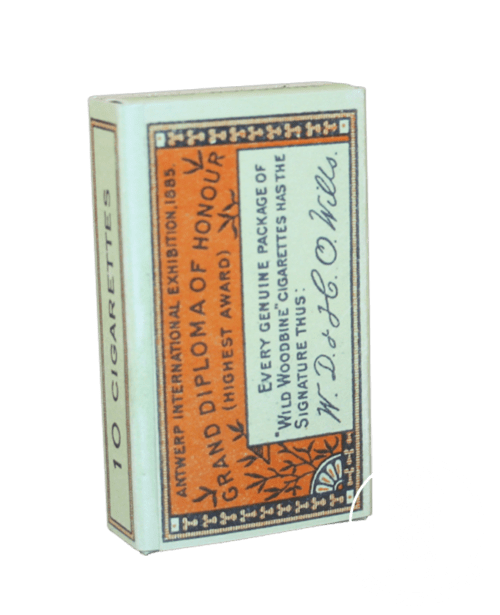 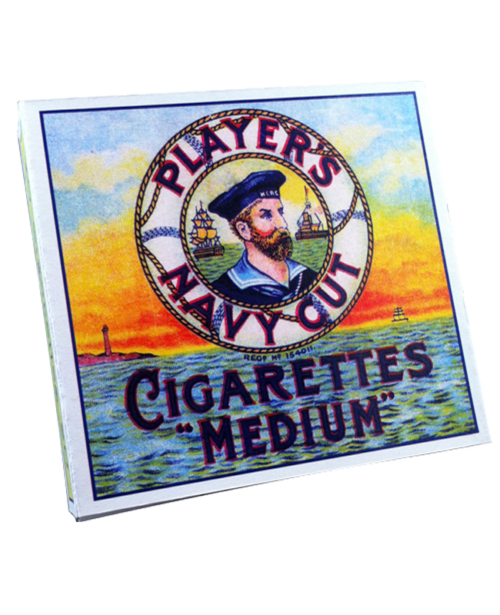 A reproduction of a WW2 Players "Medium" box for 5 cigarettes. 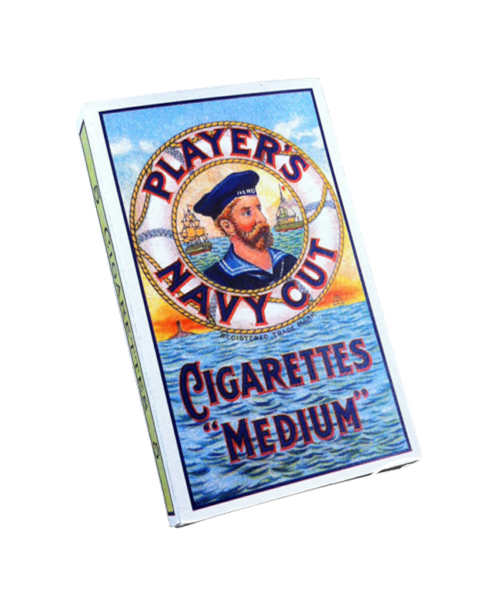 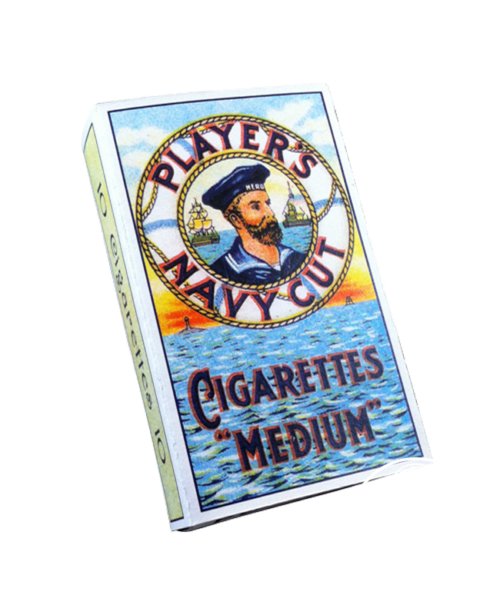 Reproduction of a WW2 Player's "Medium" Cigarettes box. 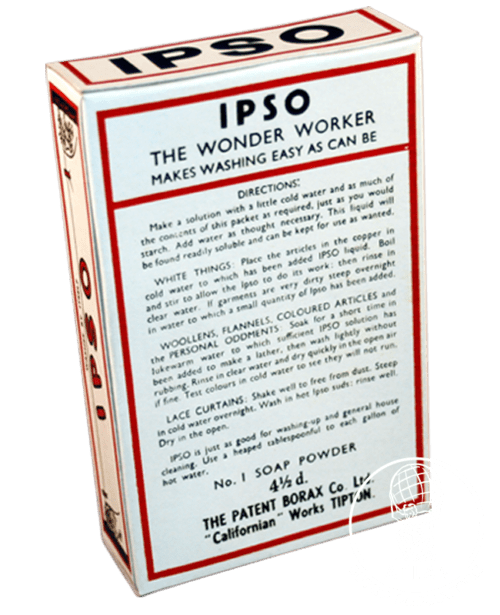 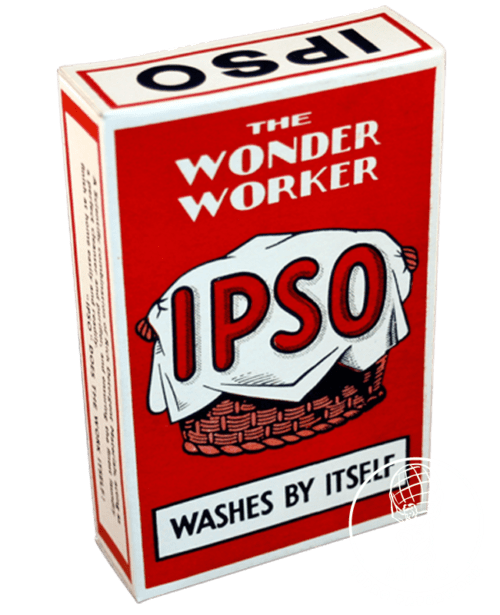 Reproduction of a wartime IPSO Soap box, “The Wonder Worker”.  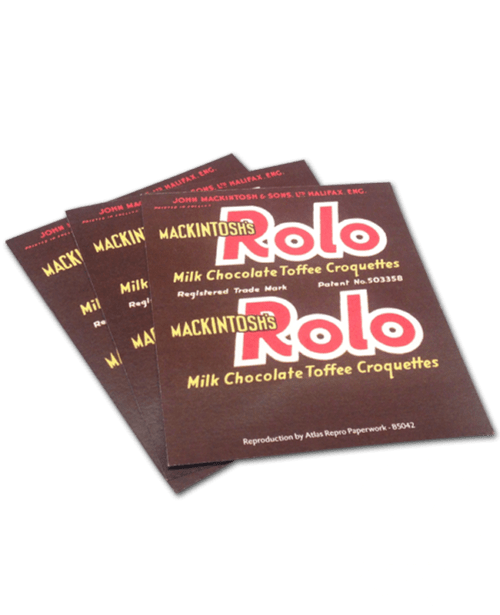 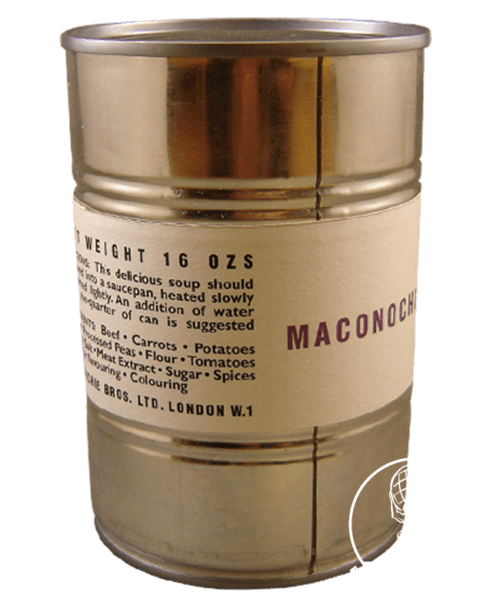 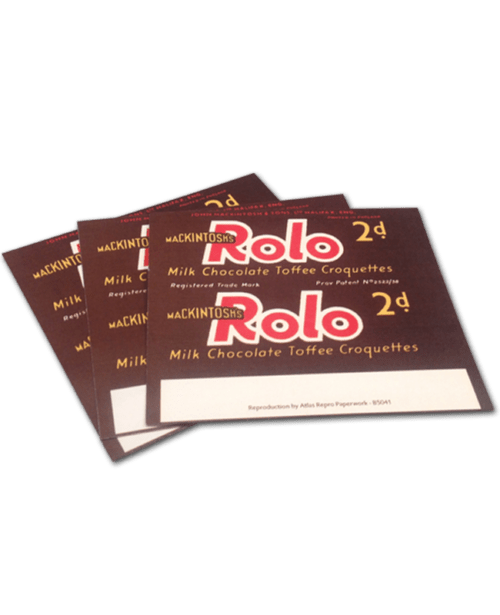 Reproduction of a wartime (1939-1940) Mackintosh’s Rolo label.  Reproduction of a pre-war (1937-1938) Mackintosh's Rolo label. 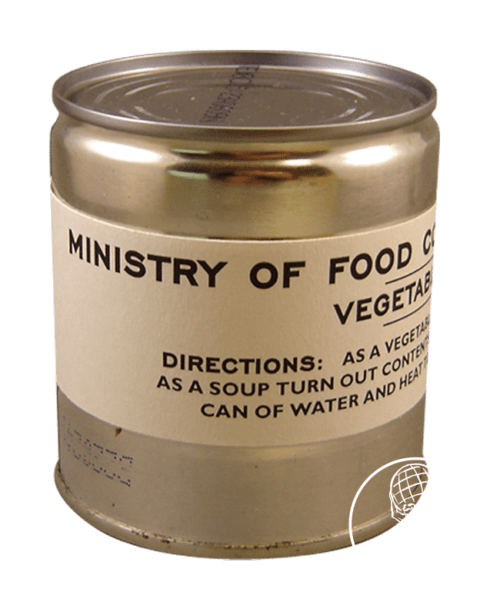 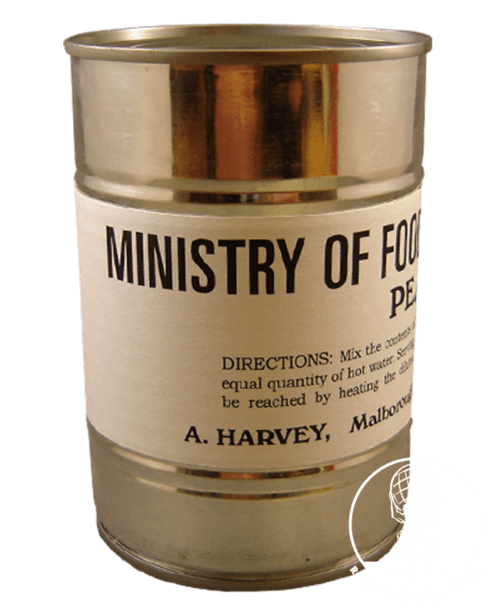 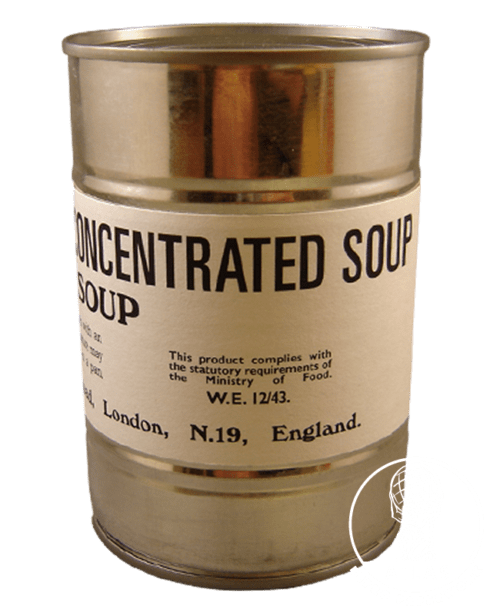 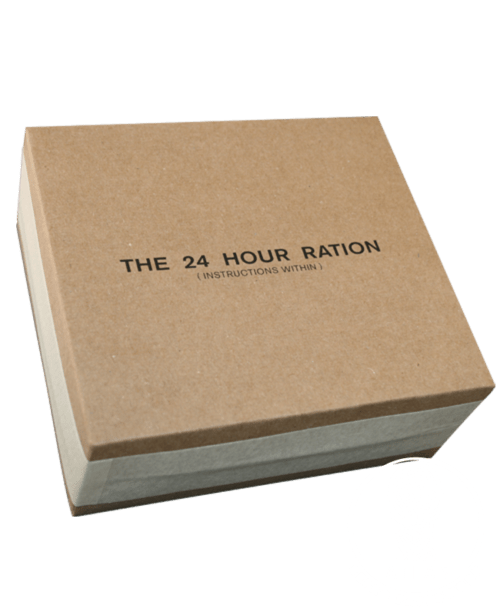 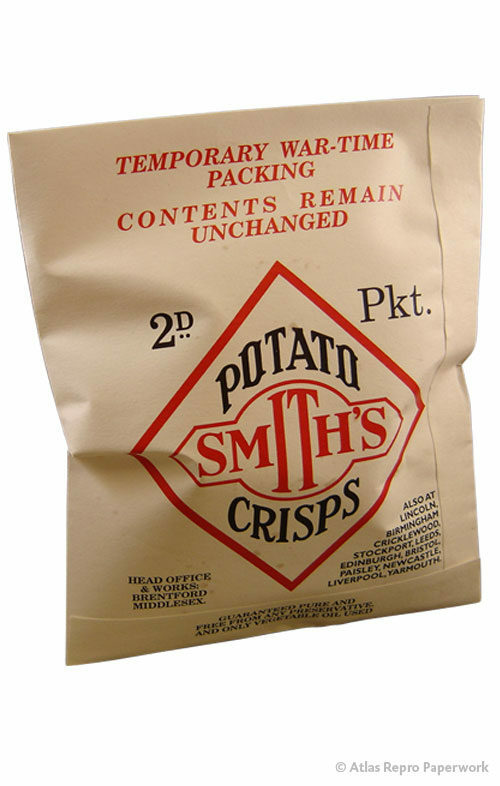 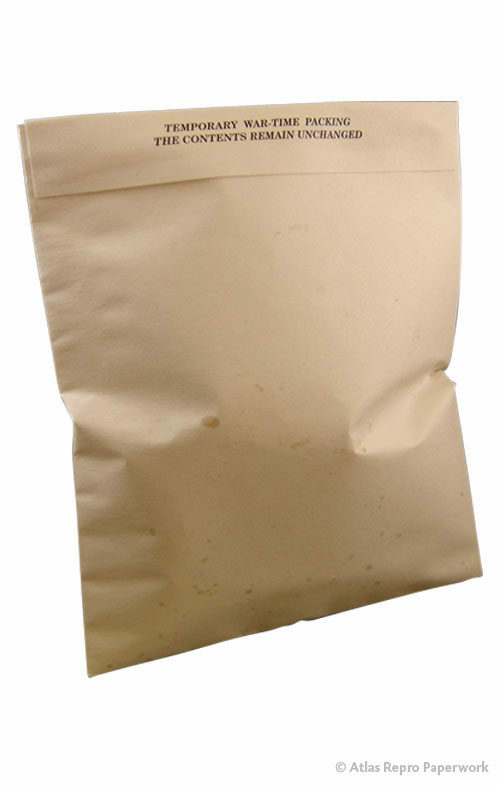 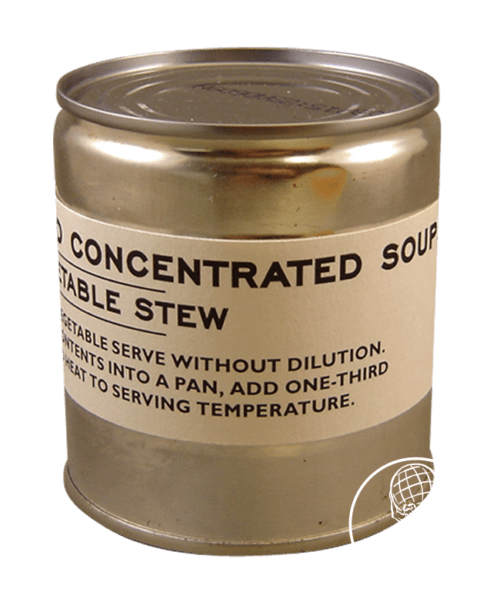 A copy of a 24 hour Ration box from 1944, designed to be kept in the British mess tins.  Reproduction of an original wartime Orlox Plain Suet Pudding box. 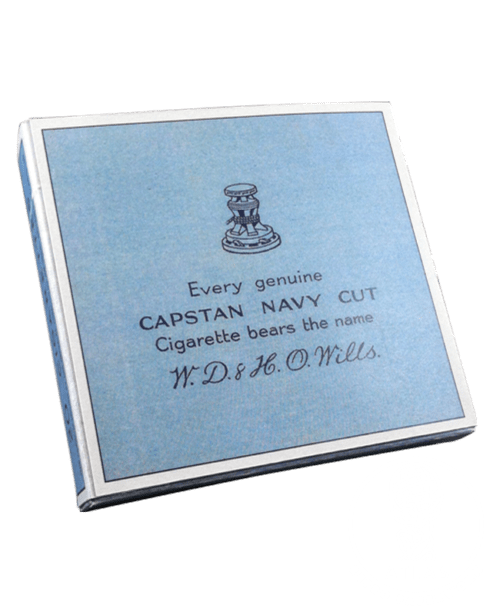 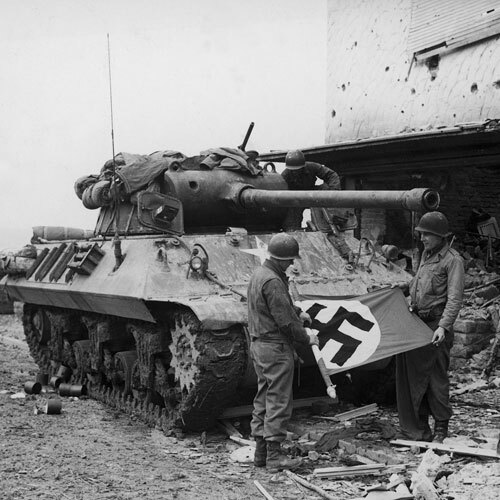 A full colour reproduction of a wartime design. 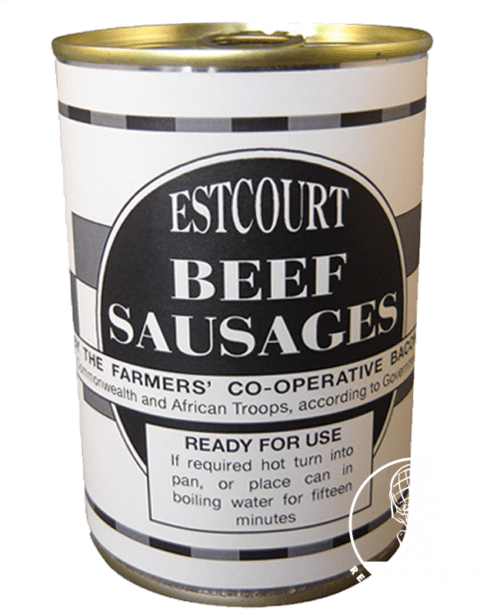 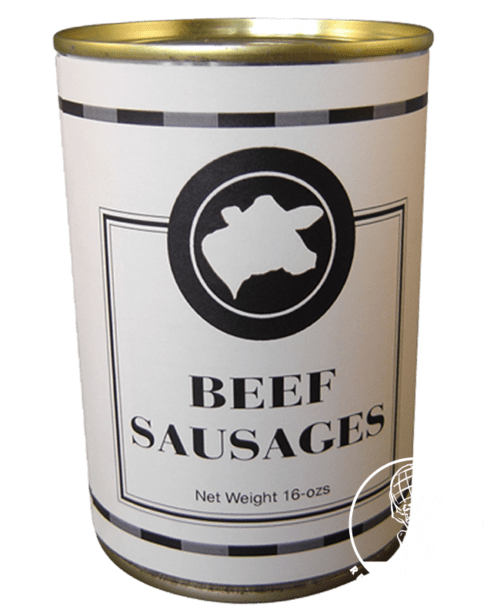 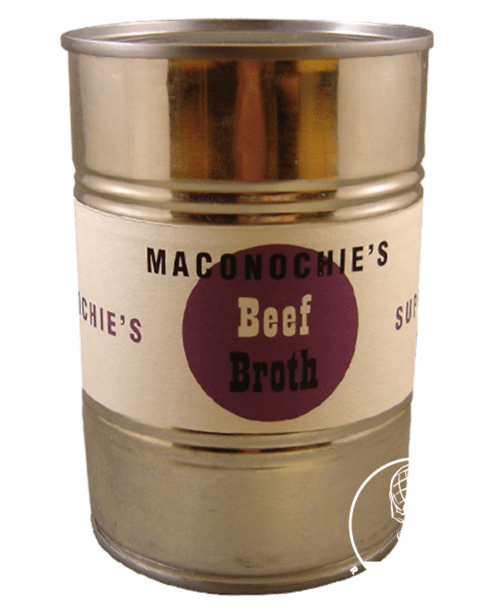 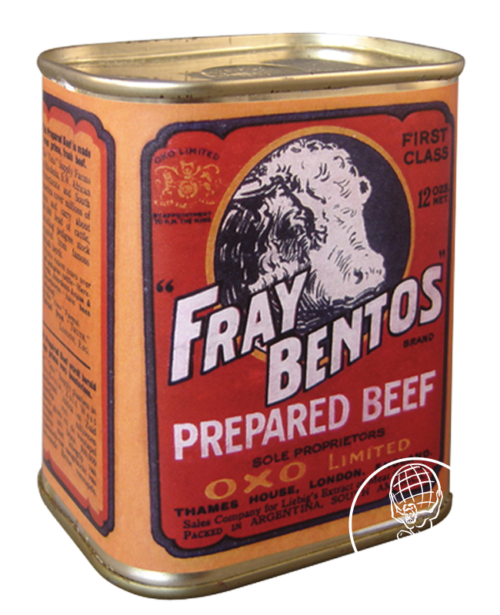 Reproduction from an early 1940s wartime Fray Bentos Prepared Beef label.